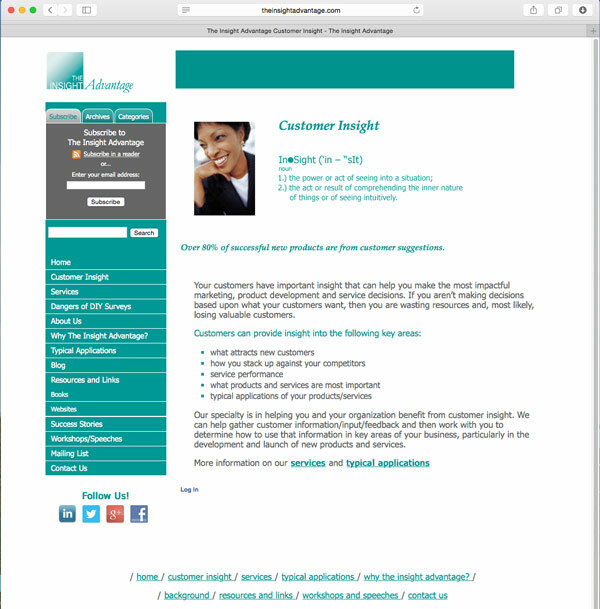 The Insight Advantage is a small business that focuses on doing market research for B-to-B software companies. After many years of the same website and branding, it was time for a change to better reflect the nature of the company and their kind of clients. 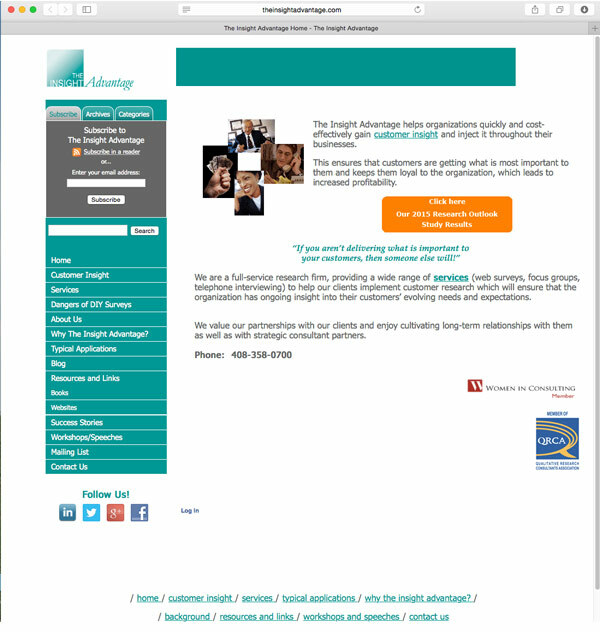 This project consisted of rebranding, updating the messaging and creating a new website. The first step was designing a new logo and updating the color palette. Here you see the old logo and the new logo with stronger colors and a more modern feel. 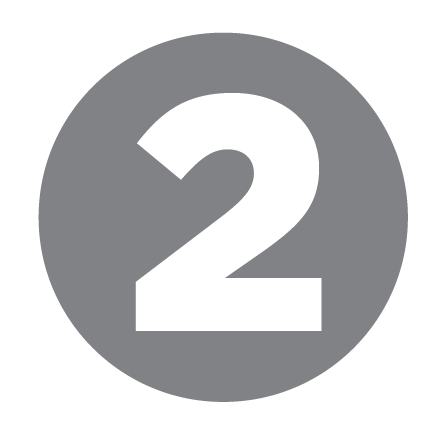 Adding circle elements to the logo mark brought in the resemblance of people – something on which market research focuses. 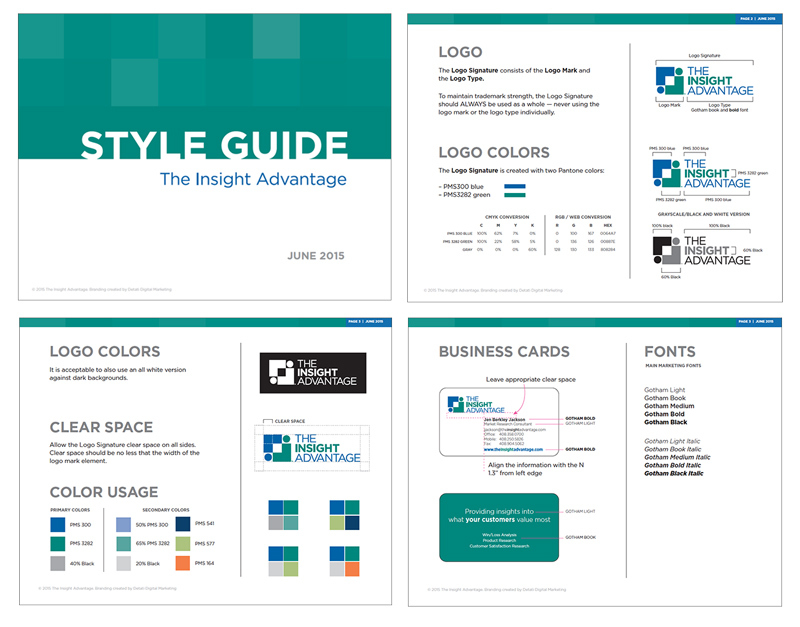 Next we created a basic brand guide for logo usage, color palettes, fonts selections and template for business cards with the new brand look and feel. The goal for the site was to incorporate the new branding, new messaging and make sure it was user (and search) friendly. By adding larger imagery and developing custom icons for the services areas, the new site was more interactive and visually appealing. Creating separate pages for each section as well as adding page titles and descriptions helped for search engine optimization and indexing. The old site (above) was fairly monochromatic, had little visuals and was not responsive so did not display well on mobile devices. 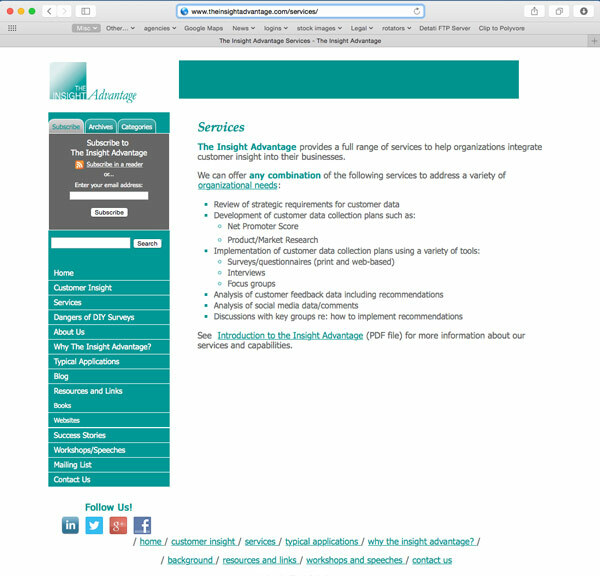 The page titles were all the same and did not add any indexing value for SEO. The new site (below) is built on a responsive WordPress template, includes larger images and custom iconography to add visual interest that logically creates sections based on the content. 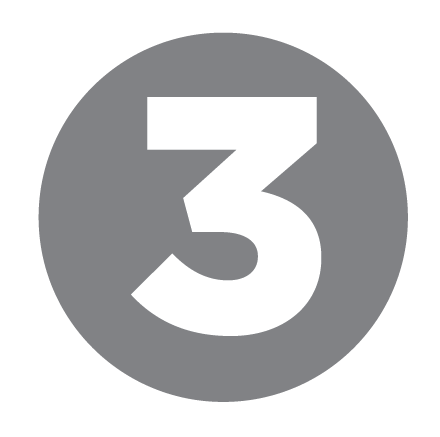 Richer content was developed to make the site more informative and credible. Descriptive and unique page titles were added for better SEO and finally, clear calls to action were added on each page.